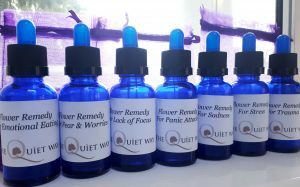 Flower remedies (essences) and the Bach flower essences specifically, are extracts from flowers which have a positive effect on emotional imbalances and mood swings such as fear, lack of self-confidence, stress and worrying. 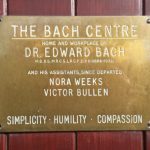 Dr Bach believed that our emotional state was the cause of physical health problems. 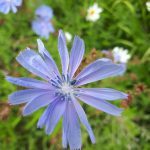 He developed 38 flower remedies based around our emotional responses to help support us in our daily lives. He grouped these remedies according to personality and emotional responses. Bach Flower Essences offer us the opportunity to move from a negative emotional perspective into a positive one. For instance a person with a low self-esteem may, after taking specific flower essences, start to believe in him or herself again and will be more self-confident dealing with the day-to-day things, fear of failure may become self-confidence, or impatience into calmness and tranquillity. The Twelve Healers are the plants that Dr Bach associated with personality types. The Seven Helpers are the support essences and are selected for long-term emotional states. Dr Bach found these chronic conditions often obscure a person’s true nature as it is expressed within the Twelve Healers group. The Second Nineteen are the essences to be selected for acute emotional responses. They help us to develop greater inner strength and fortitude and bring out our best qualities. 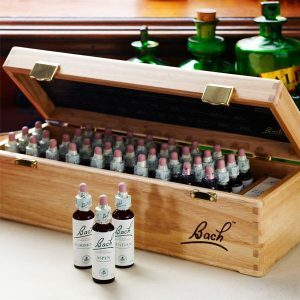 Dr Bach grouped the 38 flower remedies into seven emotional groups based around feelings such as loneliness, despair or uncertainty. 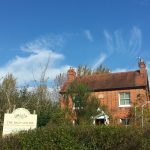 The initial consultation is between 60 and 90 minutes, where a detailed case history is taken, exploring current health and wellness goals, current emotional and physical symptoms and the history behind them. Up to 7 essences are selected and blended together in one bottle for you to take away with you. 4 drops are taken 4 times a day and we meet again 2 weeks later to check in and see how things are progressing. Effective use of Bach flower essences needs each of us to approach their use consciously and mindfully. We need to be aware of personal changes that occur and respond accordingly. Work with and explore the essences dynamically – everyone’s needs change over time, so your chosen essences will change too. Trusting to our instinct and intuition is very important when using the essences. Additional pro health suggestions can be offered to support the process, such as looking at the foods we eat, using essential oils, meditation techniques, balancing elemental energies such as earth, fire, air, water and ether and more besides. Call to book your appointment, or use the contact form on the website.